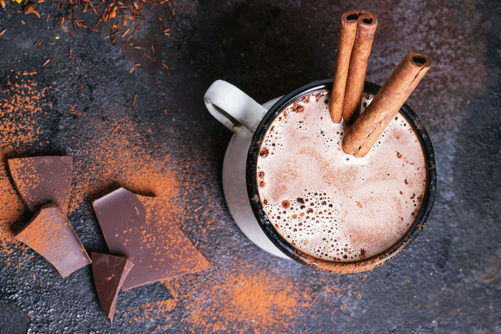 Spicy Beefy Hot Chocolate | The Essential Broth Co.
Bring some beef broth (fat removed) to a low boil. Add some cacao powder, cacao butter, and a wee bit of something sweet (honey, dates etc). Stir (or blend for a better consistency), and serve. You can add some milkiness with coconut milk, or almond milk.